A while back I reviewed Photomatix 3.1 Pro Plus, and I must confess that at the time I didn’t really do much HDR or Tone Mapping work . 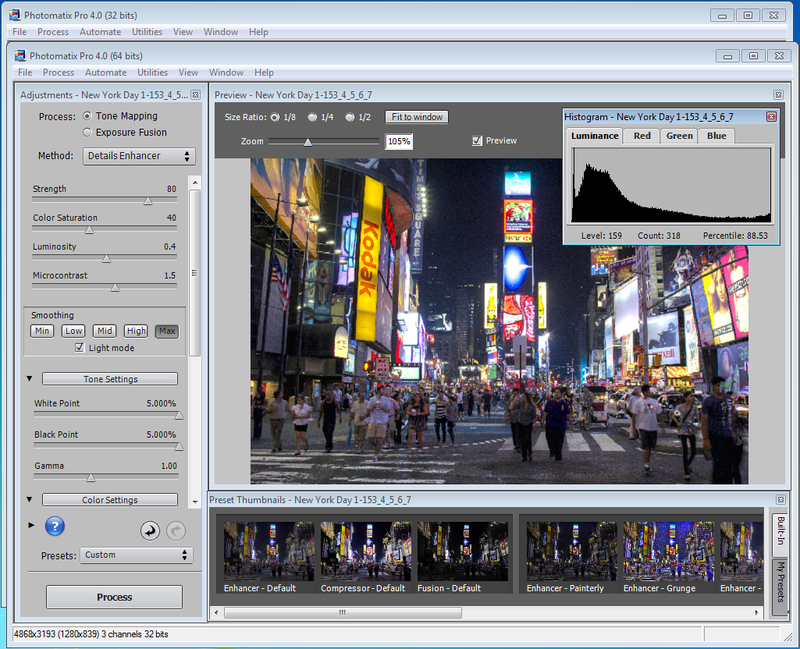 Although that has changed over the last year as there’s exciting stuff happening in the HDR world including the release of Photomatix 4.1 – the industry leading solution in HDR processing! 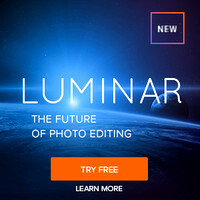 or existing owners of Photomatix, this is a no brainer upgrade, and for those who have used the trial version forever, it’s time to pony up and get those watermarks off your HDR images! Using the latest build of Photomatix I processed this image on August 17th. At first I had the natural look and then I couldn’t help but go wild with it as this image needed some oomph. You can click the image to see my mini-review of this lens or click here to purchase it from B&H. 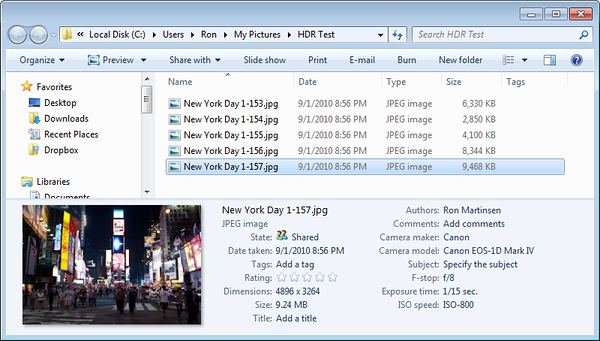 Getting started in Photomatix is the effectively same, but simple & effective user-interface. 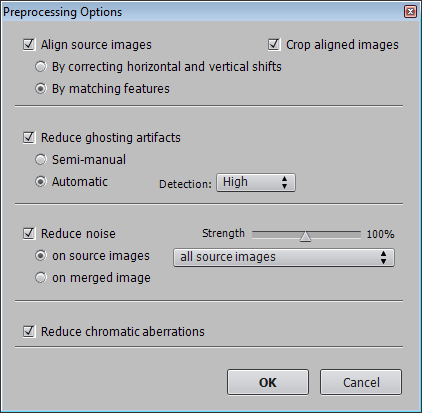 The 3.x Workflow Shortcuts window gets new terminology and features, but the 3.x Generate HDR – Options dialog is simplified and renamed to Preprocessing Options. The big improvements in 4.1+ come with the long-overdue visual preset thumbnails, and there are plenty of them! 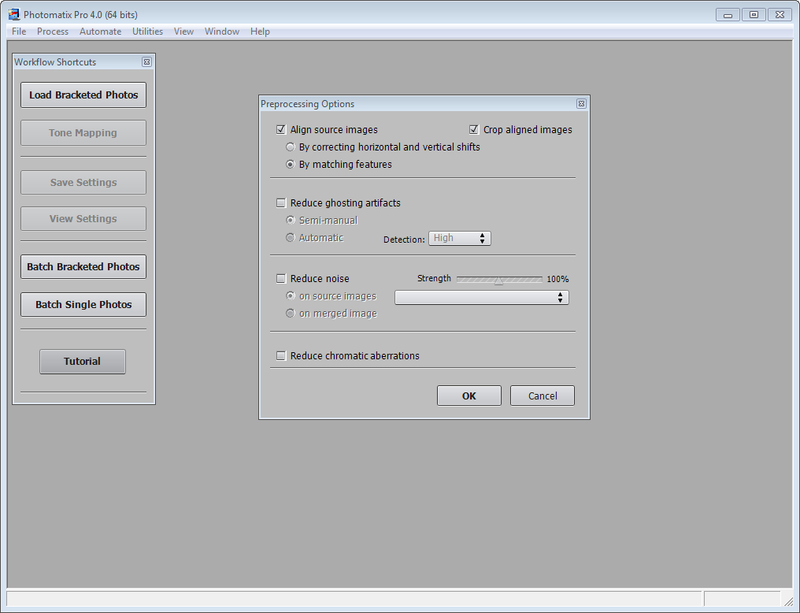 The rest of the UI is similar, but more logical so I find it to be a more simplified way of processing your images. Many will find that their new workflow will be to pick the preset that gets them closest to their artistic intent, and then tweak those values as needed in the Adjustments window. Gone are the days of being dumped off with a bunch of complex sliders and no clue as to how to get started - woohoo! I’ve enjoyed Trey Ratcliff’s HDR Workshop DVD’s, and in it he still recommends converting your images to JPEG when processing in Photomatix because it is believed that this is what Photomatix does with your RAW files anyway, and its raw conversion isn’t very good – I agree. As a result of this recommendation from the king of HDR, I decided that I’d give up my obsession with passing in the fat RAW files and get with the times. 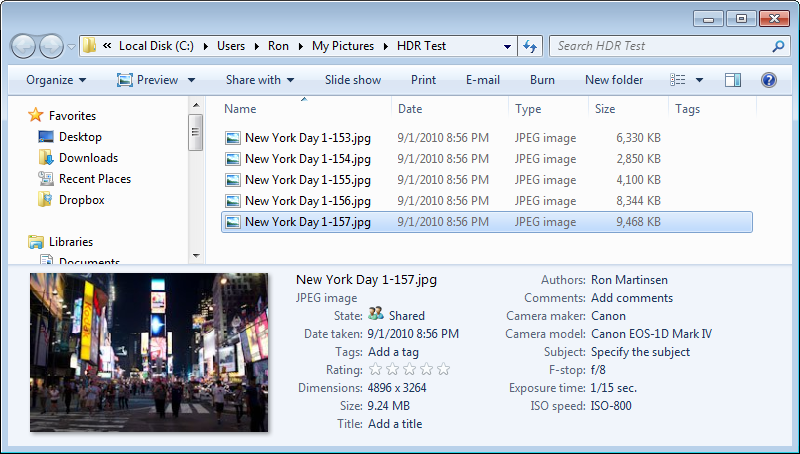 As you can see from the dialog above of the files I passed in, the files still aren’t exactly tiny but both the 32 & 64-bit versions of Photomatix 4.0 only took 42 seconds to process all 5 shots into an HDR image, and 4.1.1 is even faster! After I was done making changes, I clicked the process button which generated the final tone mapped image in only 22 seconds which saved out to 88.9 MB TIFF file when I chose Save Image (again faster in 4.1.1). Overall this felt like a huge improvement over what I was seeing with the previous version, where I’d go do some chores, eat dinner, etc… while it churned on 5 big jpeg files. I did see the performance slow down to 2 minutes and 10 seconds when I chose all the Preprocessing Options, so you’ll benefit by having noise reduction done by your RAW processor before bringing your files to Photomatix. I strongly recommend Canon users with cameras new for 2010 or later export their images as JPEG from Digital Photo Professional (DPP – the software on your camera CD that you never installed), or use in-camera JPEG’s, for the best results. Lightroom does a decent job of reverse engineering Canon’s file format to do decent raw processing, but DPP is still the best Canon raw processor (despite its horrible user-interface and uselessness after that). I was using a 3 year old Dell XPS 420 Quad Proc system with 64-bit Windows 7 Ultimate system and 8GB of RAM for my testing. For those who are interested, the Experience Index numbers on my system are Proc 7.1, RAM 7.1, Graphics 6.5, and Hard Disk 5.9, so it is an old system with the disk I/O being the bottleneck, so this file processing performance will only improve on faster disk I//O systems. I’ve also tested it with my MacBook Pro (pre-Lion) and the performance there was equally good. Halos are much less pronounced. Joseph Calev reports that he recently ran some photos through Photomatix 4 that he had previously run through 3 and the halos were much better. Presets can also be used when running batch processes – which is huge for those with a fine tuned workflow. 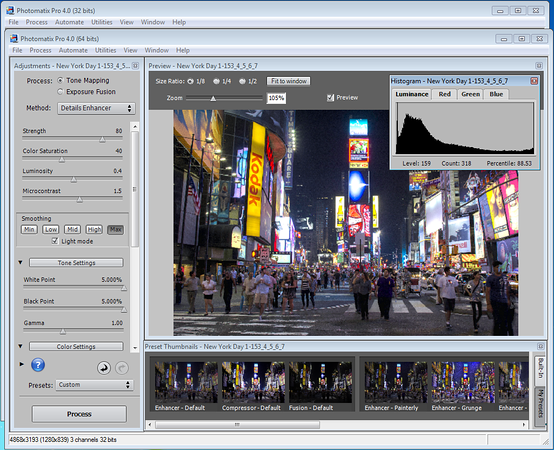 4.1.1 has numerous enhancements, so be sure to stay up to date on the latest version of Photomatix for improvements and bug fixes. What about Photoshop CS5 & Nik HDR Efex Pro? I have reviewed HDR Efex Pro 1.1 (discount) and while it has some nice features, I much prefer the performance and results I get from Photomatix 4. Your version 3 license key does not work to register version 4.0, so you will need a new license key. Pro Plus license users can upgrade free of charge and get a new license key by filling out the following here. Additional details are available at that link as well. 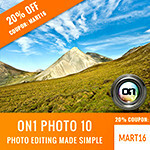 HDRSoft, the makers of Photomatix HDR tone mapping software have extended an offer to readers of this blog for a 15% discount when you use the coupon code RonMartBlog when you checkout on their web site (see picture above). 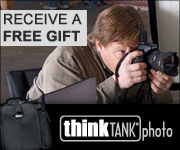 Don’t forget to click the recalculate button after you enter the code to get the discount. If you are struggling to get HDR results that aren’t cheesy, check out my review of Trey Ratcliff’s HDR DVD Workshop and his eBook, Top 10 Mistakes in HDR Processing and How to Fix Them as well as his best-selling book A World in HDR. Check out Trey's other courses and eBooks here. 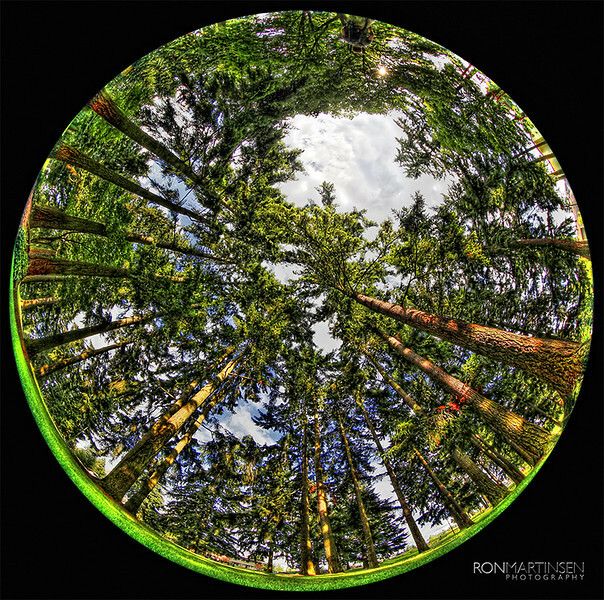 Photomatix 4 – A great starting point in only 10 minutes! If you are new to Photomatix, then please read my old Photomatix review here. What I am seeing in this release are great performance and usability improvements which make it worth the upgrade, but I’m not seeing much beyond the Fusion feature that wasn’t possible in the previous release. As a result, I think my old review is still fairly accurate which is why this is a “update review”, instead of a full review. I do think that this is the best version of HDRSoft’s Photomatix to date and the changes are significant enough to warrant an upgrade (which fortunately for many will be free or limited cost). I found this version to be much more enjoyable and user-friendly, so that I was actually able to get pretty solid HDR results in about 10 minutes. The image had some flaws that needed to be worked out, but far fewer than in previous releases. 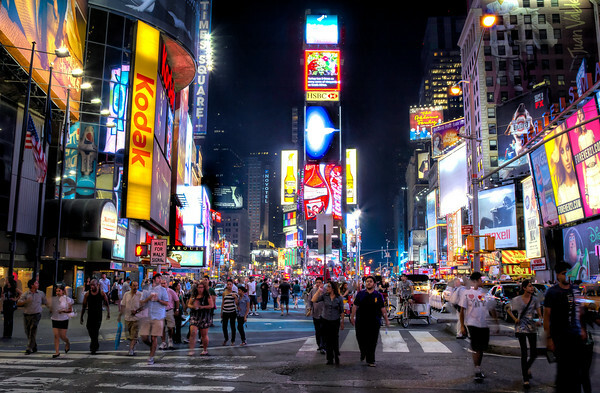 As you can see above that without any additional work whatsoever, it’s a decent place to start on what is an impossible single-exposure of Times Square in New York City. I was provided a copy of this product to review. I may also get a commission if you make a purchase the links in this article. Thanks for supporting the blog by coming back here to make your purchase! 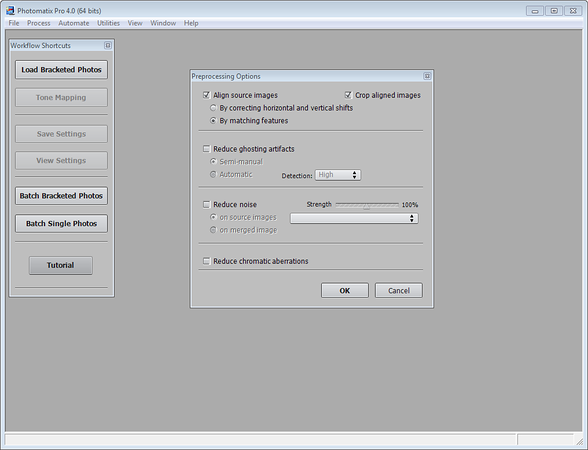 Passing JPEGs to PM as a recommended workflow? No. 16 bit TIFF files? Yes. It's true that the RAW conversion engine in PM isn't as good as ACR or others. But why give up all that quality by converting to JPEGs? That really makes no sense. For things like HDR timelapse I'll shoot and merge JPEG files but for those the higher quality isn't necessary since the end product is, at most, a 3MP equivalent video clip. For other purposes, give the HDR merge as much information as you can to get the best possible result. Sorry, but sending JPEGs to the HDR cooker as a matter of course isn't the best approach. It depends on your target output Bob. If you are just posting to the web, which in reality is all that most will ever do, then even full size 8-bit JPEG's have more data than you'll ever end up using on the target output destination. Now if your intent is to do a 13x19 or larger print for fine art then your recommendation makes perfect sense. Perhaps that is your workflows so I can understand your advice. It seems you get that point by your second paragraph, so I think we are on the same page. I would also agree with the theory that if you have the time, computing horsepower, and disk space, then it is worthwhile to use the largest source images that you can to get the best results. Of course, in that workflow I'd also advise working on the exposures in Photoshop before sending them to Photomatix and do things like noise reduction and dust spot removal (but not too much as that will wreak havoc in Photomatix). Ron, I'm with Bob on this one. I’m not one to obsess over pixels and details (many of the best photos do not show the full tonal range and all the details in the shadows) but I don't understand Trey's and your recommendation. The whole point of why an individual should be doing HDR is for as the name implies more dynamic range. You're crushing that dynamic range by only working on the 8bit jpg files. Even if like you said, it’s just a web image (well if it’s purely web then it probably doesn’t matter at all – but what a waste of time if it’s just for that imo) or a smaller print (say smaller than 12x18). They should still work with the 16bit files and then just delete the tiff(s) in the end if they don’t want to deal with it or hold onto the larger images. They would still get better dynamic range, the whole point of HDR. I tried this recently and the jpg produced HDR had less detail and range than the Tiff produced one then saved to a jpg. At the end of the day, I don’t really care what people do with their images, but it’s just silly imo. The tool supports both and you are free to do what works best for your workflow. Generally speaking I prefer to work with 16-bit RAW files, but I just haven't seen any measuarble improvement in the dynamic range of sending Photomatix RAW or big TIFF files over sending it JPEG's. While in theory there should be a difference, I don't think its underlying code is taking advantage that extra bit depth. I'll admit that I'm not a HDR fanatic (i.e., you won't see any in my portfolio), but I appreciate that many people are (as evidence by the fact that has a following bigger than some religons) and generally speaking people don't print their images big. With the reality of what people do with their images (at best case it becomes wallpaper) then there aren't going to be a ton of benefits to warrant the slower performance. However, if you think you have benefits - then go for it - nobody is saying that you can't.